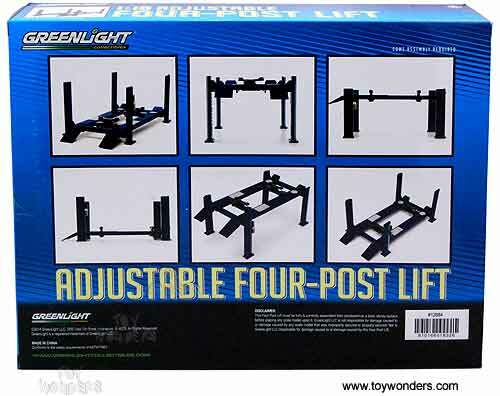 12884 Greenlight - 1:18 Scale Adjustable Four-Post Lift. 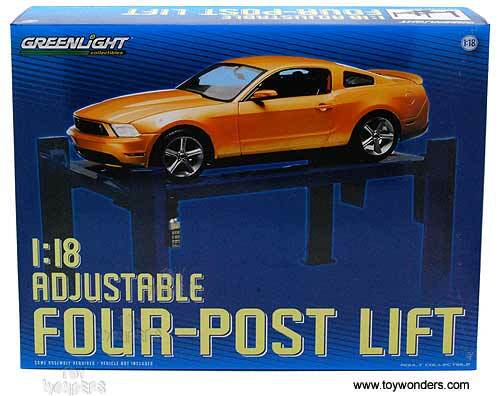 This Post Lift is great for decorating 1/18 scale cars and dioramas. Individually packed in a box. 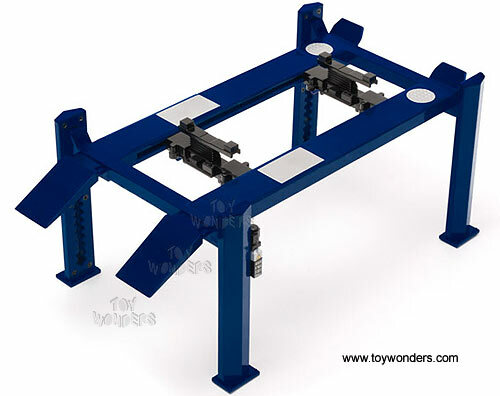 Box size: 13.75"L x 3.5"W x 11"H. This Lift is manufactured by Greenlight.